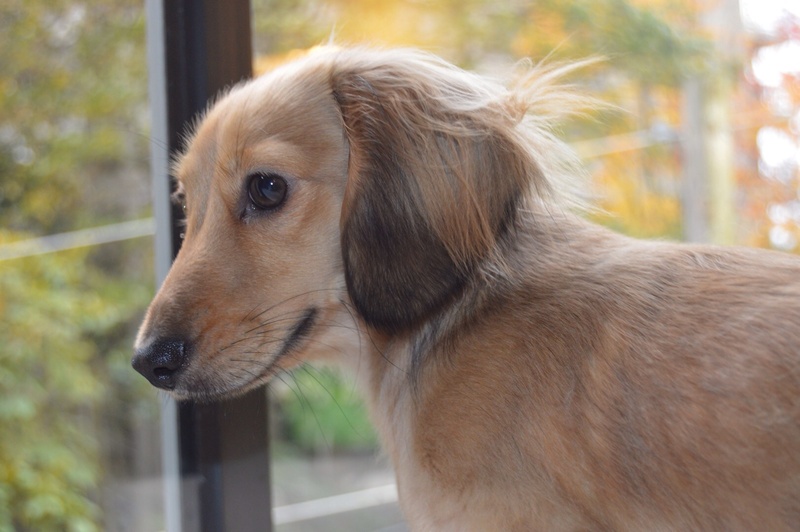 It has been almost 2 years since Haru(Koharu) came into our lives and became the youngest member of our family. 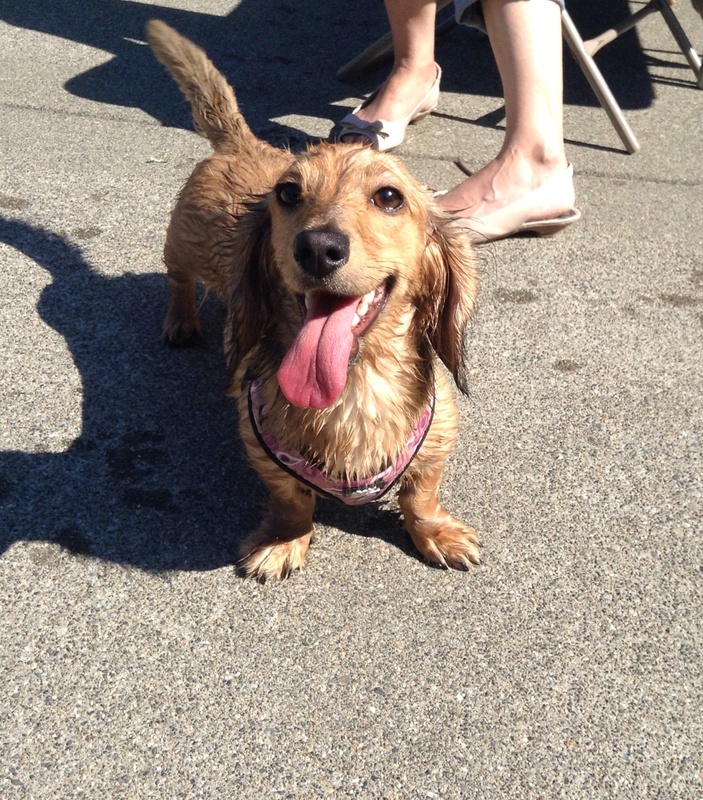 She is a miniature dachshund with shaded cream long hair. 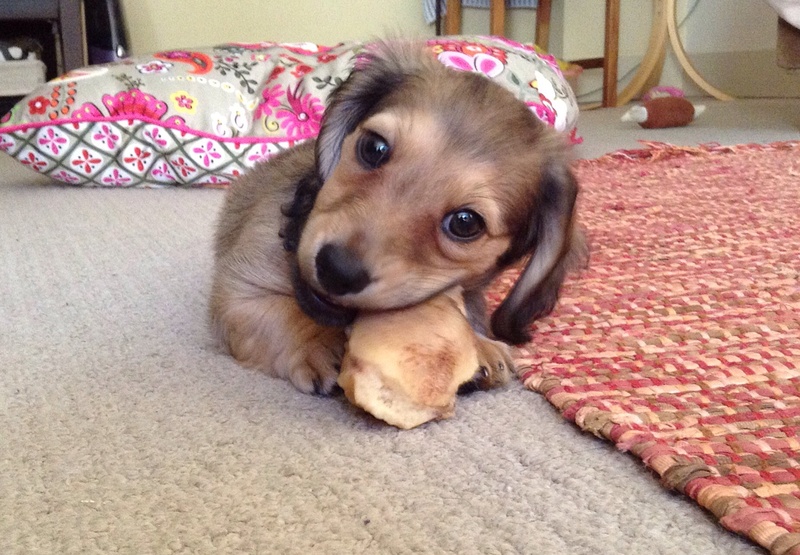 Unlike Cocoa, our first dog, she has a very strong personality. She is very carefree and doesn’t usually pay attention to what we say. I have probably spoiled her too much because she is my baby. 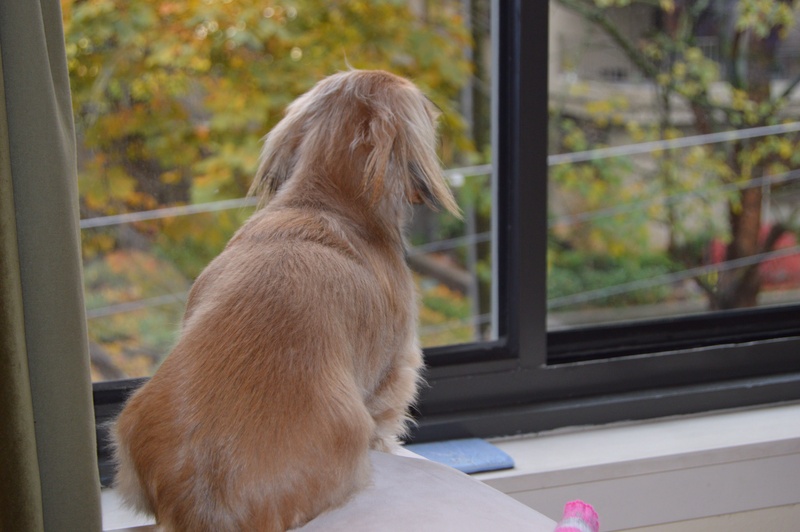 Every morning and late afternoon, Haru sits on top of the couch which is placed against a big window, and she watches people and dogs walking on the street. 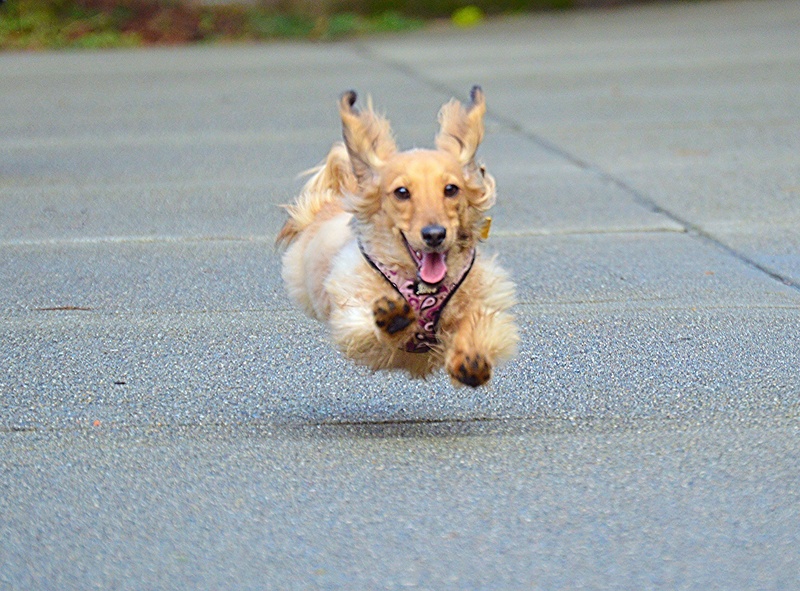 She often barks when she sees people and other dogs, as if she is reporting somebody suspicious. 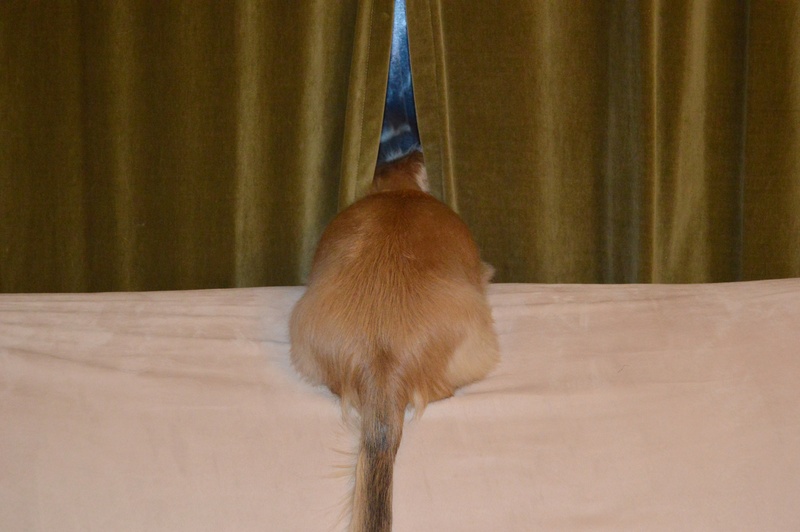 Even in the early morning when it is dark outside, she sticks her face out to watch between two curtain panels. 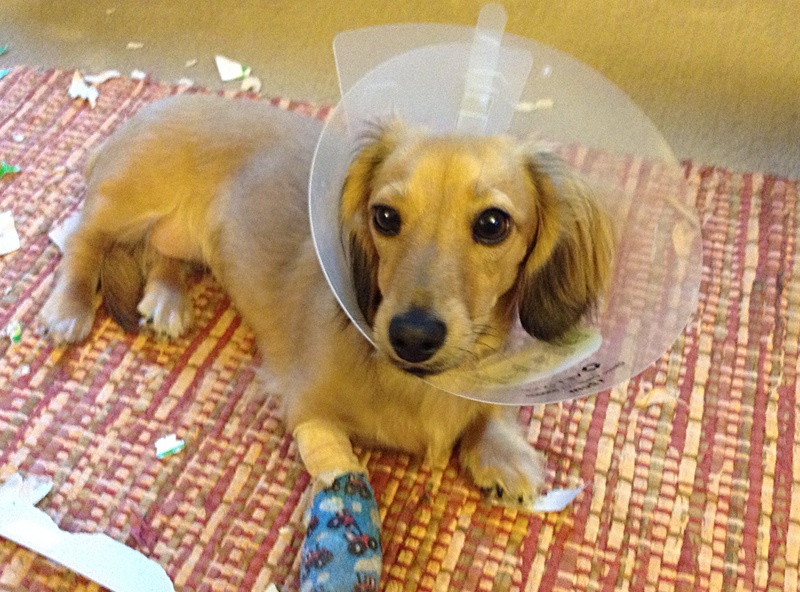 One time, Haru injured her paw on the escalator. One of her toe nails got stuck and she got a bloody paw. 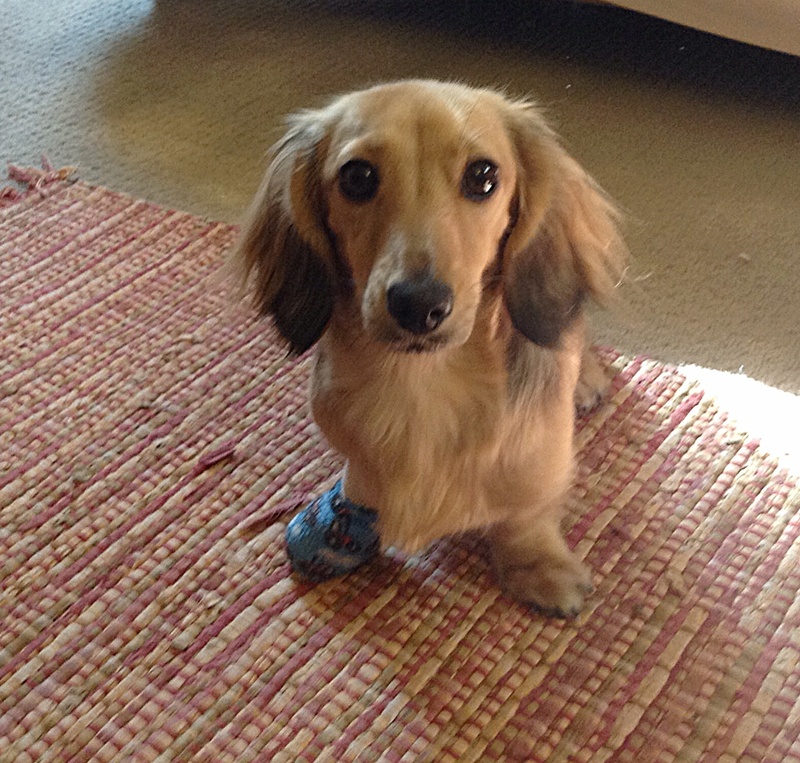 Her vet treated her paw with a truck patterned blue bandage. I wished that she could have gotten a pink bandage. It has been a joy to spend time with Haru walking, playing, and sleeping together. 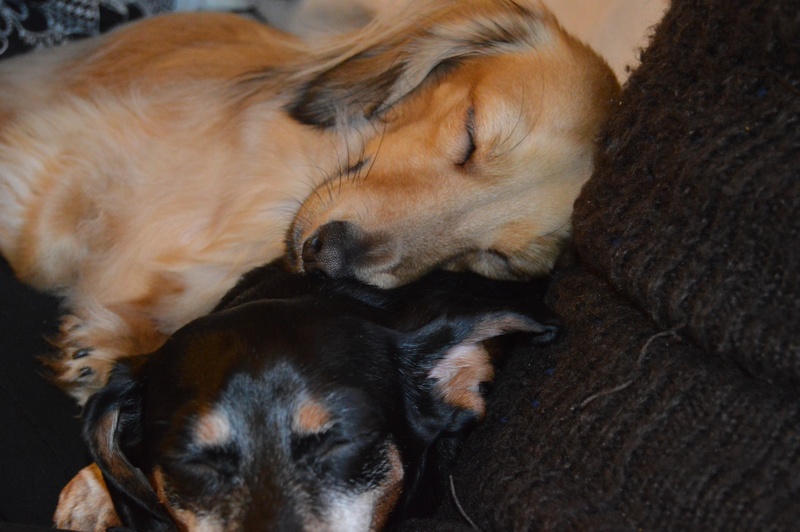 We love her as much as we do Cocoa, and I love when Cocoa and Haru come to me excitedly every day after I come home. We look forward to having more adventures with them in the years to come. 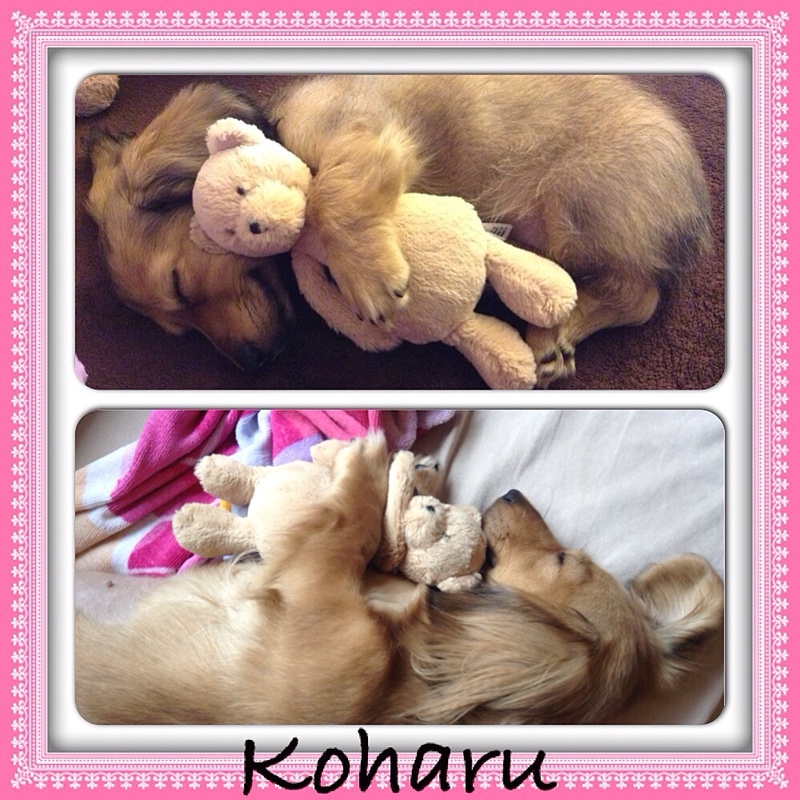 We can see how much Haru has grown by the stuffed bear.